What was once a mother’s fashion statement is now an artful reflection of her personality. 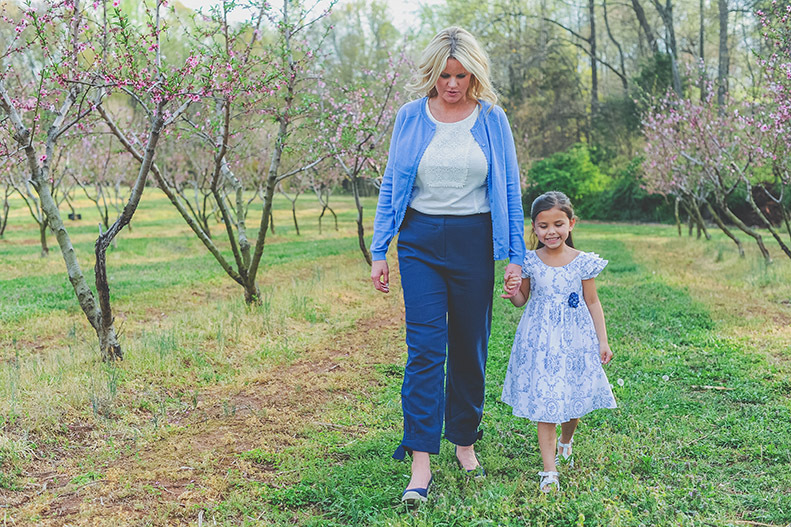 Take a closer look at snaps from our recent photoshoot and get acquainted with the latest options in mother-daughter dressing. Twinning outfits became the hallmark of fashionable mums in the late 80’s and beckoned the launch of the popular Laura Ashley Mother and Child collection. 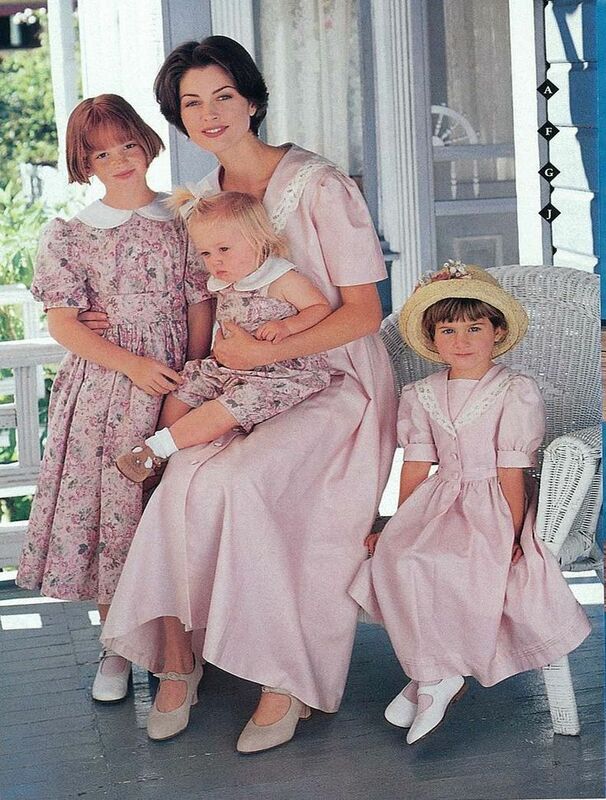 The matching trend continued into the 1990’s, creating iconic memories for young girls and their families. Today, online shopping affords mothers and daughters access to a plethora of sophisticated styles. Rather than replicating her look in a smaller size, contemporary mums– just like celebrities and style influencers– are creating their own mix of complementary looks for their little ladies. It’s no secret little girls love dressing up! Mum coordinates in a smart casual look of blues. Whether it’s Easter Sunday or an afternoon garden party, a simple silhouette with a dainty floral is a can’t miss choice. 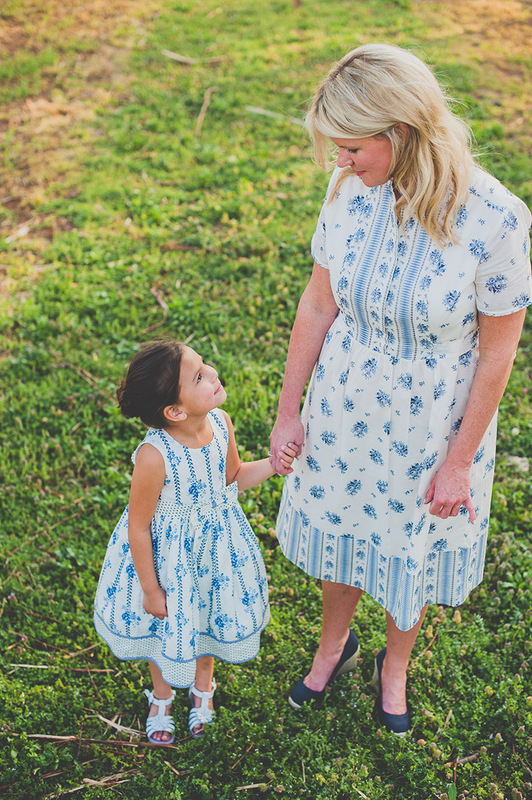 Here Mum and daughter are both wearing inky blue painterly florals grounded on a classic white dress. Looking for the perfect mommy and me duo? We’ve quite a selection of girl’s dresses and ladies fashion worth a look! 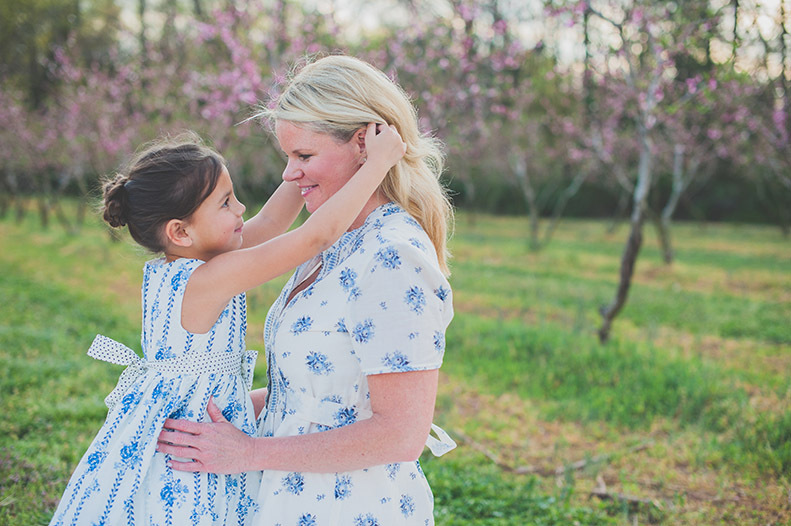 This entry was posted in Favourite Posts, In Style and tagged blue and white dresses, easter, easter dresses, girls dresses, matching outfits, mommy and me, mommy and me dressing, mother and daughter, mother daughter dressing, spring dresses, spring fashion. Bookmark the permalink.